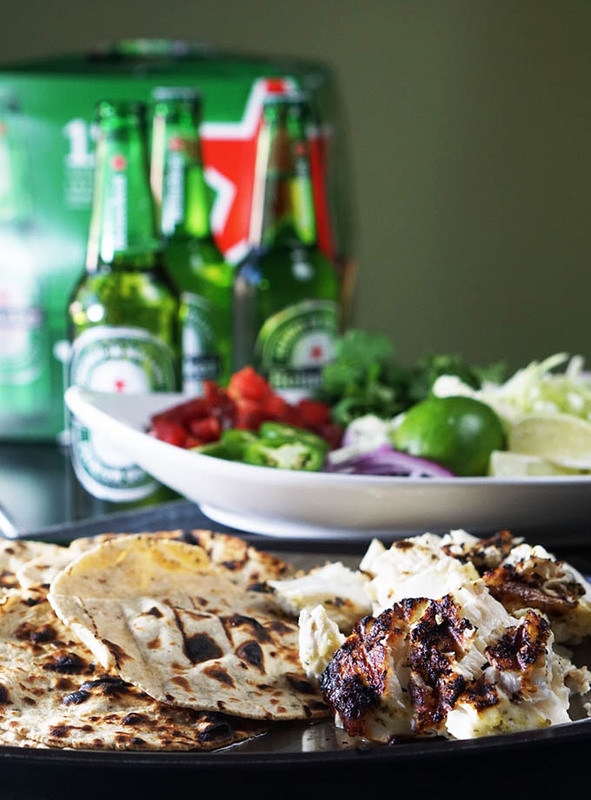 Grilled Baja Fish Tacos served with a crisp, cold Heineken is best with family & friends! Who’s ready to get their grill on? 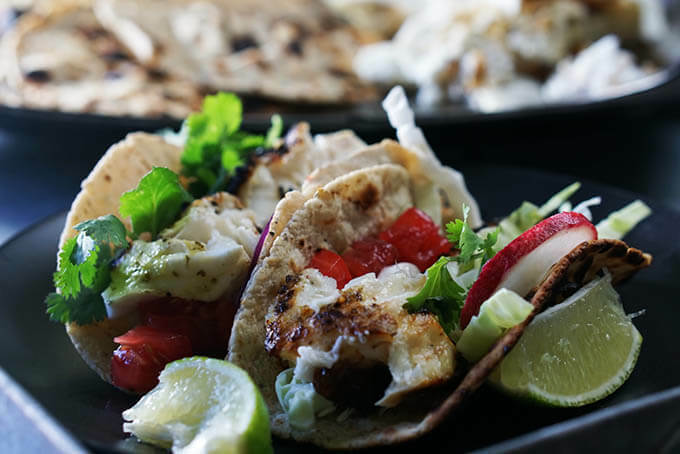 Well, let’s back up a bit….have you ever tried fish tacos? The first time I had fish tacos was right after I moved to California. It’s safe to say, being a little homegrown girl from St. Helens, Oregon it was a bit of a culture shock. I had lived in the same small town all of my life. Moved briefly to Virginia (in a moving van with my Dad all the way across the United States) and then to beautiful San Clemente, CA. Alice, Don & Deb back from the beach. 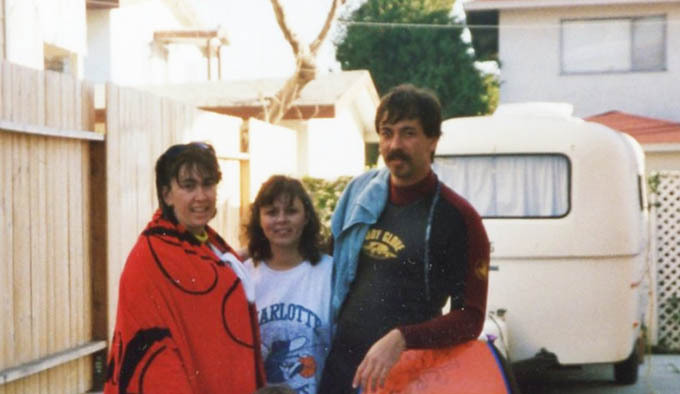 My family came to visit – that’s me wrapped in the towel, my brother Don & his wife Alice. We had been boogie-boarding on Christmas Eve Day – super fun! (Obviously I’m regressing but when you look thru old photo albums it’s fun to to stop and smile about old memories 😀 ). Anyway we are here to talk about fish tacos, so let’s start with buying the fish. But what’s a great taco without a great brew to go with? 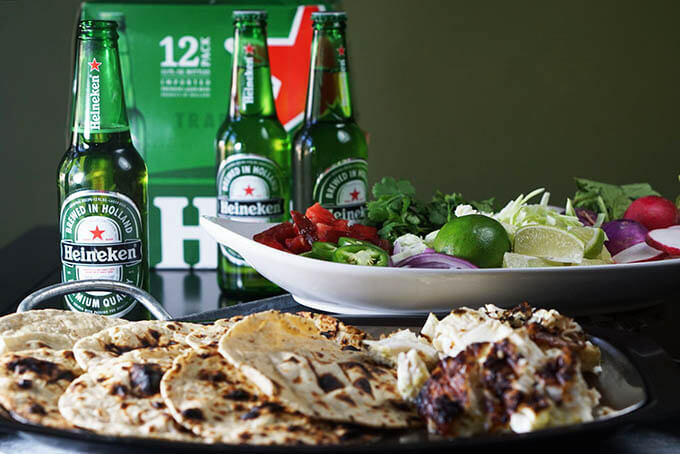 Heineken is my choice, love that barley, hops & water – it’s perfect with fish tacos! 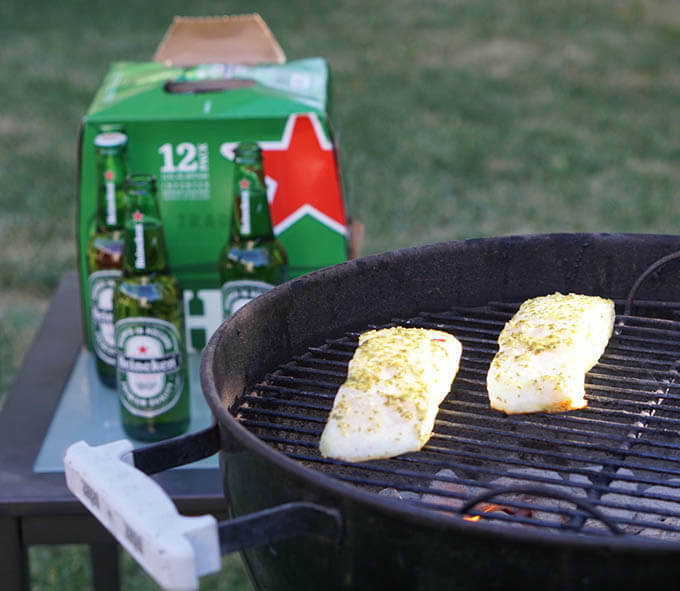 I grabbed a 12 pack at my local Foods Co (click here to find Heineken near you! 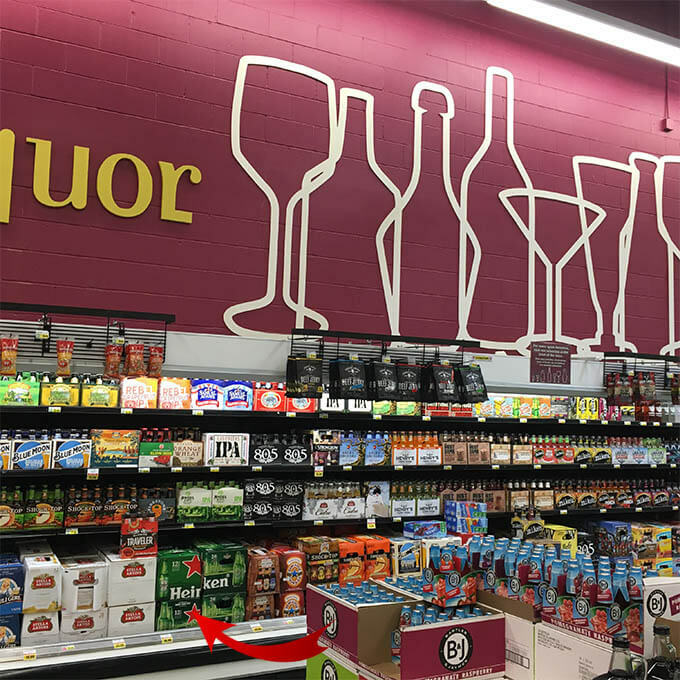 )- they have a super cool display that wraps around the corner of the grocery store. Better yet, want to save some $’s? Here’s a link for a mobile rebate – just click here. You’re absolutely going to love the marinade for the fish! It’s beyond easy and only uses a few ingredients. You’ll use it to marinade the fish and also to drizzle over the meat after it is grilled. Everything goes into the food processor and give it a whirl! You’ll need olive oil, cilantro, a jalapeño, a couple limes, salt & coriander – that’s it! But you may want to double the recipe…it’s really good! Marinade about 30 minutes and then onto the grill it goes. While it is marinading, put together your toppings for the tacos – here in Fresno we always have cabbage, sliced jalepenos & radishes. Tomatoes, cilantro & onions are yummy too! 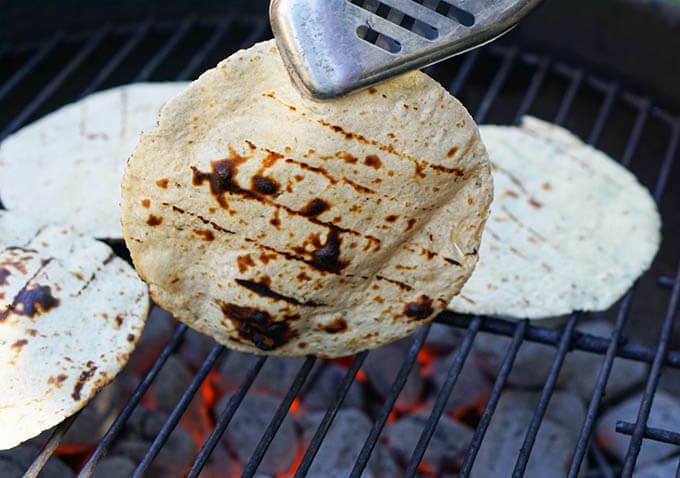 Don’t forget to grill the tortillas – that’s where you get that great restaurant quality flavor. Watch them carefully though, it only takes a few seconds per side! Then it’s time to put it together – get a tortilla (or two! ), add the fish and your favorite toppings. On a hot, hot summer’s day there is nothing better than a perfectly chilled beer, so go grab your beer, sit down with friends and family and enjoy a great meal! Let’s get grilling some Baja Fish Tacos! For the marinade you'll need olive oil, cilantro, a jalapeño, a couple limes, salt & coriander - that's it! But you may want to double the recipe...it's really good! toppings of choice - thinly sliced cabbage jalepenos and radishes, sliced onion, tomatoes, lime wedges, etc. Add the olive oil, cilantro, jalepenos slices, garlic , salt & coriander to a food processor and process until the ingredients are finely chopped and combined. 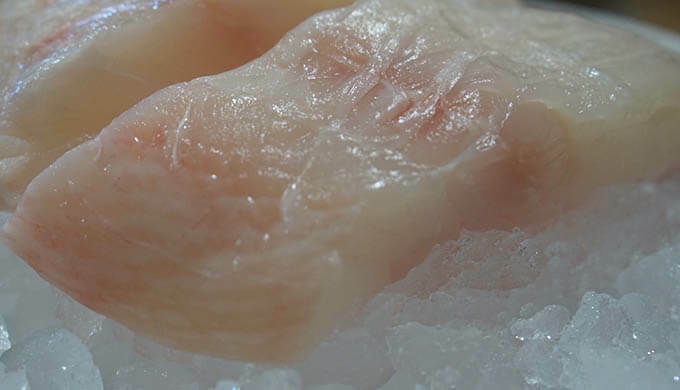 Place the fish in a glass dish and spoon half the marinade over the fish, coating all sides. (Reserve the remaining marinade to drizzle over the fish after grilling.) Cover & refrigerate the fish. Marinade for 30 minutes. Grill over hot coals about 6 minutes per side. The fish is done when it flakes easily. If desired, grill the tortillas - they will only take less than a minute per side. It's ok to give them a little char it adds a lot of flavor. When the fish is cooked and you've removed it from the grill, flake the meat and drizzle the remaining sauce over it. Yes and so good – perfectly refreshing on a hot summer’s day – thanks Rini! Thanks so much – enjoy!! Love that you chose to grill these! Yum! I have only tried fish tacos a few times, while on vacation. Boston is certainly not known for their fab fish tacos, lol. 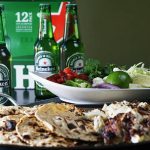 I know I would love this recipe and what is better than a cold one on a hot day paired with some tacos? Awesome, I hope you give it a try Christine! !